Leaders in the legal community making a difference in civil rights causes were honored March 12 at the 21st annual ADL Southeast Jurisprudence Luncheon. 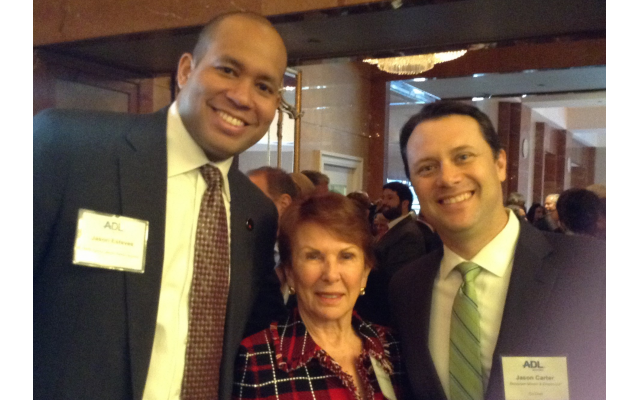 Honoree Jason Esteves chats with Georgia Supreme Court Justice Carol Hunstein and Jason Carter, jurisprudence luncheon co-chair. 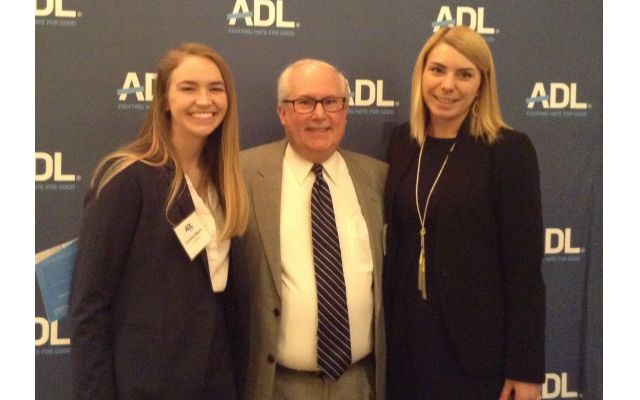 Bennet Alsher, ADL board member and Ford Harrison attorney, with Courtney Majors, left, and Chelsey Lewis, right. 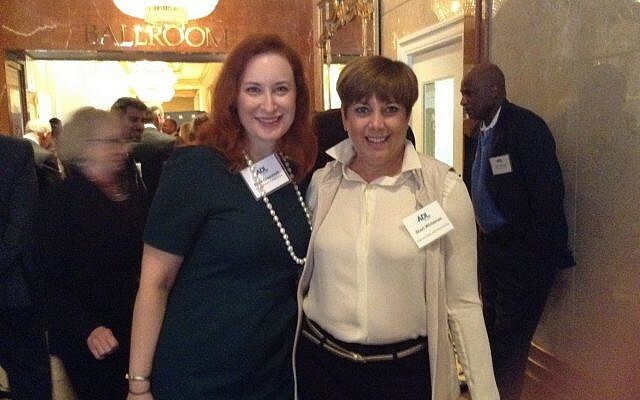 Erica Greenblatt, ADL director of development, networks with Sheri Whiteman of the host committee. 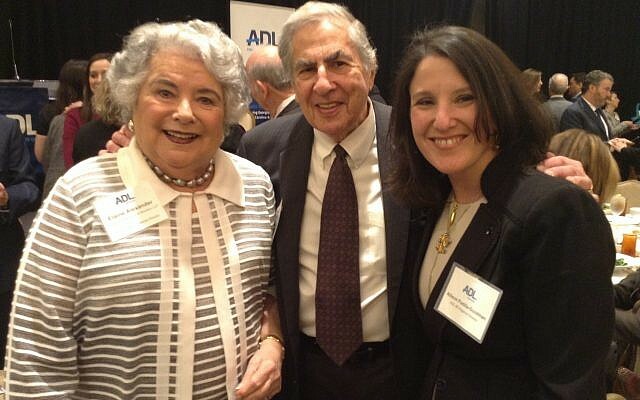 Advocate level sponsors Elaine and Miles Alexander are welcomed by ADL Regional Director Allison Padilla Goodman. Leaders in the legal community making a difference in civil rights causes were honored March 12 at the 21st annual ADL Southeast Jurisprudence Luncheon. About 300 attended the event at the Four Seasons Hotel Atlanta. ADL Regional Director Allison Padilla-Goodman reminded the crowd that the Anti-Defamation League was founded by two lawyers. Recognizing the three honorees, she touted their determination in not relenting and making changes that would be long-lasting. “The Southeast region needs the ADL now with the 57 percent increase in hate incidents that we saw in 2018. … Freedom of religion has been misused.” The main thrust of her words was the impending importance of Georgia passing hate crime legislation, one of only five states that do not have such a bill. 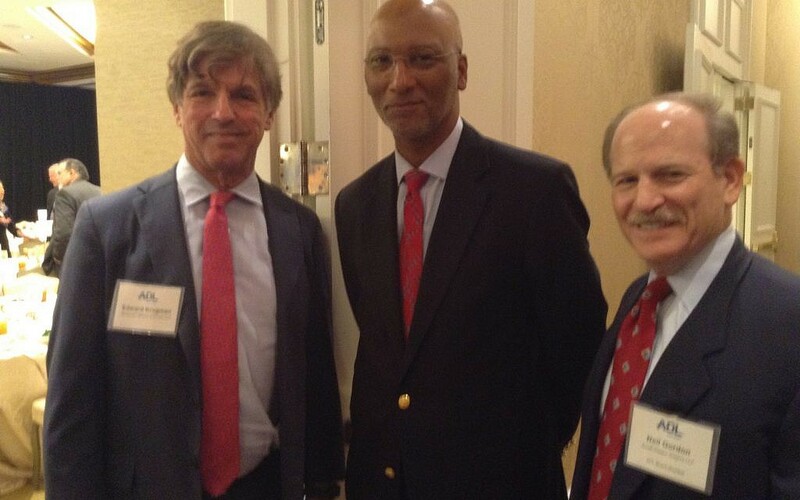 John Lewis, Jr., jurisprudence luncheon co-chair, is flanked by attorneys Edward Krugman and Neil Gordon. Introduction of this year’s award winners began with Jason Esteves, a graduate of Emory Law School and former history teacher who is currently assistant general counsel for Equifax. He was recognized for his values rooted in public service and education. His address included telling of a time when he was in high school in 1999 and he participated in an ADL program in which he signed a pledge and wore a sticker: “No Place for Hate.” He was awarded the Young Lawyer Award, which Carter noted he had won 10 years ago. Sams oversees 110 lawyers both in the U.S. and abroad. These values were reinforced by her father who preached “how” one did things was as important as the “what.” Sams received the Elbert P. Tuttle Jurisprudence Award. 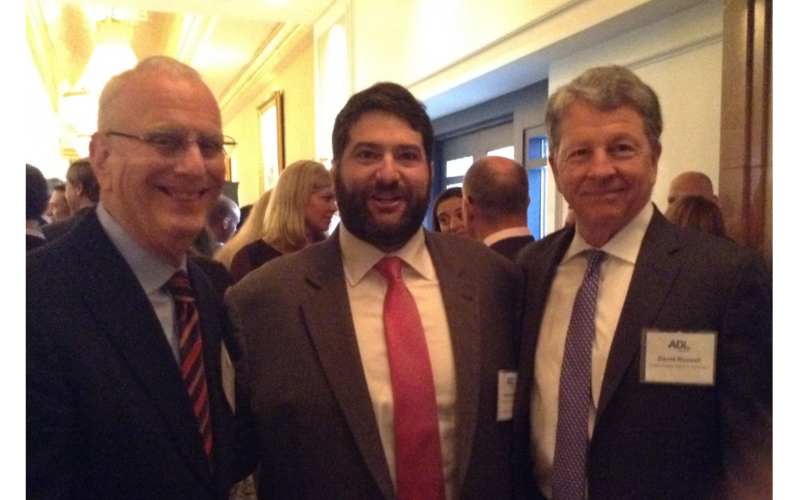 Board Member Dr. Howard Maziar talks about the importance of ADL’s mission with Scott Zweigel and David Russell. The last honoree, Debbie Segal, continues to fight for the under-represented, oftentimes victims of domestic violence. She was in charge of the in-house pro bono program she trailblazed for Kilpatrick Stockton. “I just can’t say ‘no’ to helping clients who have grown up without advantages.” Clients have said to her “It doesn’t matter that we lost. I just never had anyone stand up for me before.” Although technically retired, Segal teaches a public interest course at Emory University Law School. At the luncheon, she received the ADL Lifetime Achievement Award. Dan Bloom of Richardson Bloom & Lines LLC moderated the panel with the three winners. Mentoring was discussed, and while everyone agreed on its importance, some got there differently.